Matthew writes so his audience will know that Jesus is the Christ, the Savior and Son of God, and so his audience will repent and follow Jesus. Matthew places particular emphasis on Jesus as the fulfillment of Old Testament prophecies about the coming of the Jewish Messiah-King. Mark writes so his audience will know that Jesus is the Christ, the Savior and Son of God, and so his audience will repent and follow Jesus. 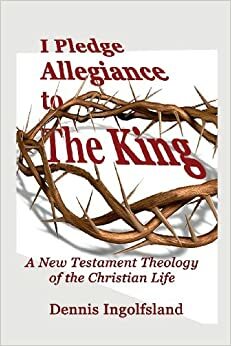 John writes so his audience will know that Jesus is the Christ and that by believing in Jesus they can have eternal life. John places particular emphasis on Jesus as the embodiment of God. Acts is the story of the work of the Holy Spirit through the early church—specifically through Peter and Paul—in spreading the Gospel from Jerusalem to Judea, Samaria and Rome. The story covers from Jesus’ ascension in AD 30 or 33 to Paul’s imprisonment in AD 60-62. Paul announces his plans to visit the church in Rome and introduces himself with a systematic presentation of his Gospel. Paul says the Gospel is the power of God for salvation, which produces an obedience that comes from faith in Christ for both Jew and Gentile. 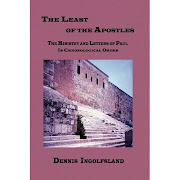 Paul responds to a letter telling of divisions and problems in the Corinthian church. He urges unity and addresses problems regarding immorality, marriage and singleness, food offered to idols, worship and the Lord’s Supper, spiritual gifts, and the resurrection of Jesus. Since Paul’s second visit to the Corinthian church did not go well, Paul recounts how he sent Titus to them with a tearful letter and how Titus had just returned with great news that the Corinthians were eager to see him again. Paul tells of his sufferings for Christ and his love for the Corinthians. He urges generosity toward the Christians in Jerusalem who are suffering from famine. Paul forcefully insists that salvation is by grace through faith alone, and not by doing good works. Paul says that all those who belong to Christ by faith inherit the promises given to Abraham. He warns, however, that those who live lifestyles of habitual, unrepentant godlessness will not inherit eternal life. The first half of Paul’s letter to the Ephesians emphasizes the spiritual blessings we have in Christ—including the fact that we have been saved by grace through faith and are God’s workmanship created to do good works. The second half of this letter instructs and urges Christians to live a life worthy of these blessings. Paul writes of his love for the Philippian believers and about his current imprisonment. He urges them to follow Christ’s example in looking out for the interests of others and to continue to work out their salvation, because it is God who is working in them. Paul closes by thanking them for the care-package they had sent to him while in prison. Paul prays that the Colossian believers would “live a life worthy of the Lord and please him in every way.” He says Jesus is the image of the invisible God and that the fullness of Deity (God) lives in Jesus. Paul warns against a false spirituality which involves harsh treatment of the body. He tells his audience to avoid all sexual immorality, lust and greed, and to live lives of compassion, humility, patience, forgiveness and prayer. Paul recounts how he had sent Timothy to encourage the Thessalonian church during persecution and how Timothy had returned with the good news that the church was thriving and spreading the Gospel. Paul urges them to continue pleasing God in their behavior and instructs them about Jesus’ coming again. Paul gives additional instruction about Jesus’ coming again and warns against laziness. Paul tells Timothy to be prepared to endure suffering for Christ and to correct, rebuke and encourage his people with sound doctrine. He tells Timothy to pursue faith, love and peace, to flee youthful passions, to preach the Word and to bring others to Christ. Paul says the time of his death is near so please come soon. Paul returns Onesimus, a runaway slave whom Paul had converted, to his owner, Philemon. Paul begs his friend Philemon to treat Onesimus as he would treat Paul himself, and hints for the slave’s release. Paul says, if Onesimus owes anything, Paul will pay the debt personally. The author says Jesus is the radiance of God and the one through whom God created and sustains the universe. 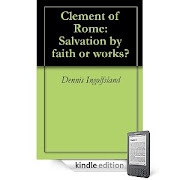 This being the case, the author warns his audience to beware of drifting away from the faith or hardening their hearts as the Israelites did in the wilderness. He says Jesus is our great high priest and author of the new covenant so beware of falling away because Jesus is the only way of salvation. He tells them to persevere in faith, like Abraham, Moses and other Jewish heroes of old, and prays that God would work in us what is pleasing to Him through Christ. James urges his audience to be doers of the Word and not hearers only. He condemns ungodly behavior and gives specific examples of how Christians should demonstrate their faith by their actions. Peter writes to a church facing severe persecution, saying their endurance in suffering demonstrates the proven character of their faith. He urges them to set their hope fully on their salvation, to turn away from their previous evil lifestyles and to maintain good conduct before non-Christians so they will see their good deeds and glorify God. Peter says they should rejoice that they share in the sufferings of Christ. Peter urges his audience to add knowledge, self-control, godliness and love to their faith. He strongly condemns false teachers who were leading many astray with their ungodly lifestyles. Peter says believers must conduct themselves in holiness and godliness knowing that Jesus will return like a thief at which time the heavens will melt away and the earth will be laid bare. John warns against false teachers who say Jesus didn’t really come in the flesh. John writes that if we claim to have fellowship with God (be saved) and yet keep on walking in darkness (habitual, unrepentant godlessness), we are lying, but if we say we have no sin we are also lying. Jesus is the atoning sacrifice for our sins and our advocate with the Father. Those who say they are in Christ ought to behave as Jesus did. They should love one another in deed and in truth, and shouldn’t be surprised if the world hates them. John writes so that his audience might know that they have eternal life. John urges his audience to love one another saying: This is love—that we walk in obedience to Jesus’ commands. He warns of many deceivers who have gone out into the world and says that that Christians should not support their ministry. John says that Diotrephes, a church leader, is spreading malicious slander about him. Diotrephes refuses to show hospitality other believers and excommunicates Christians who do. John warns not to imitate what is evil and says that those who practice evil do not know God. Jude tells his audience he wanted to write about their common salvation but felt compelled to encourage them to contend earnestly for the faith. This is because certain men had secretly slipped in among them–immoral, divisive scoffers who had turned the grace of our God into an excuse for evil behavior. Jude strongly condemns these people and urges his audience to keep themselves in the love of God by building up their faith and praying through the Holy Spirit. John uses apocalyptic imagery to teach that as the second coming of the Lord approaches, worldwide natural disasters, human evil and persecution will increase to unprecedented horrific levels. John urges believers to remain faithful even unto death. When Jesus is revealed he will destroy all opponents in a final battle and bring his people into his kingdom of peace and righteousness.